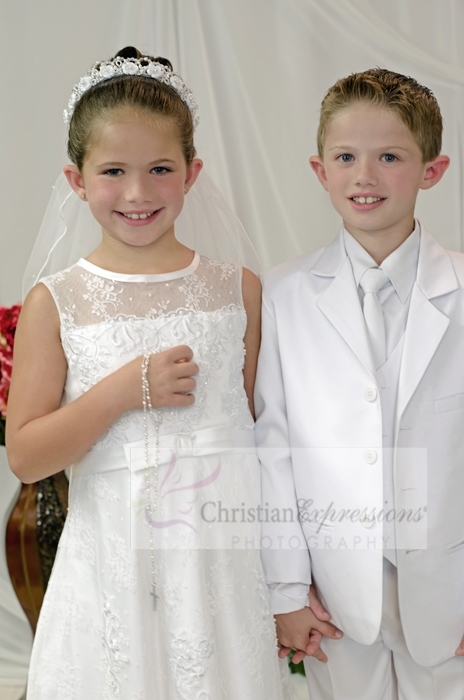 This white First Communion veil features satin and organza bow with organza streamers and a pretty rosette center. 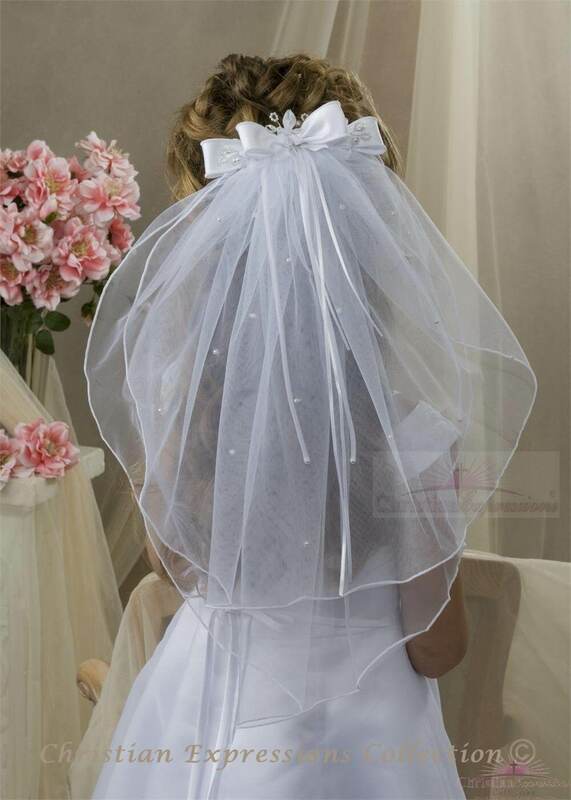 Two tier 1st communion veil with clip attachment and scattered pearls throughout veil. 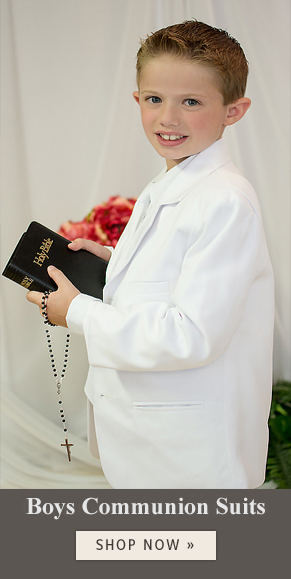 This girls first communion veil with rosette and bow is available exclusively at Christian Expressions and is in stock while supplies last.